Big Cedar Lodge is a resort on the outskirts of Branson, Missouri in the Ozark Mountains. The hotel was acquired by Bass Pro Shops many years ago to give people a place to experience many outdoor activities such as golfing, fishing, swimming, horseback riding and more. 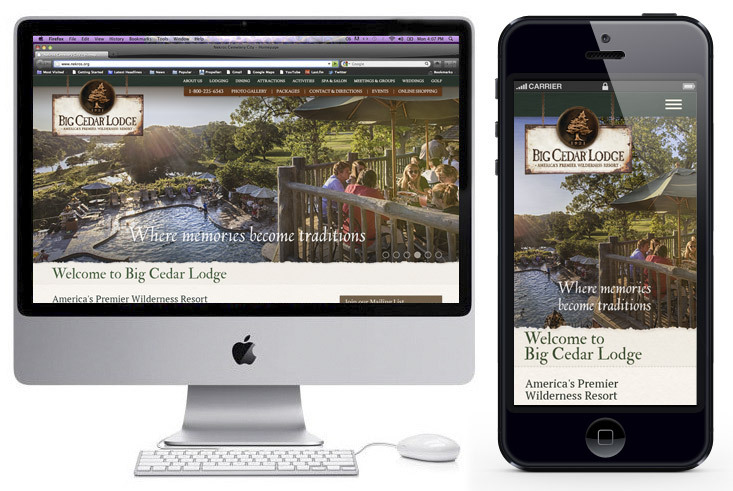 We were able to redesign their web presence by keeping the overall nature theme that the lodge has to offer, but the main key was to make it easier to gather information about the different lodging types they offer and to ultimately book a reservation!